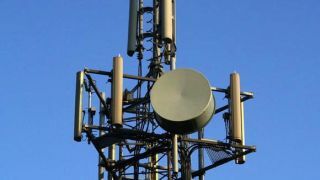 AT&T recently announced an agreement to purchase NextWave Wireless in a bid to expand its 4G coverage. The $600 million deal lets the mobile carrier acquire NextWave Wireless and, more importantly, its significant licenses in Wireless Communication Services(WCS) and Advanced Wireless Service (AWS) bands. Earlier this year, AT&T partnered with Sirius XM to petition the FCC to allow WCS bands to be used for mobile internet. While that decision is still under review and pending approval, the NextWave deal will provide AT&T the capability to expand its 4G LTE capacity through WCS spectrum over the next three years. "The proposed WCS rule changes and NextWave acquisition represent an alternative approach to creating additional wireless network capacity to help support skyrocketing wireless data usage on smartphones and tablets," AT&T said. AT&T may already have big plans for its newly acquired WCS spectrum bands, but the carrier isn't in the clear yet. Previously, the FCC denied the use of WCS bands for mobile internet due to concerns over interference with satellite radio signals. That's why AT&T brought in Sirius XM to sign off on the plan, and hopefully sway the FCC ruling in their favor. The FCC also still has to approve AT&T's acquisition of NextWave, though that's expected to go into effect before the year's end. Even if AT&T secures the FCC approvals it needs, the big question is whether the spectrum band expansion will be enough for the carrier to compete with Verizon's growing network. Just last month Verizon finalized its own deal expand its 4G LTE network to cover another 22 million customers.